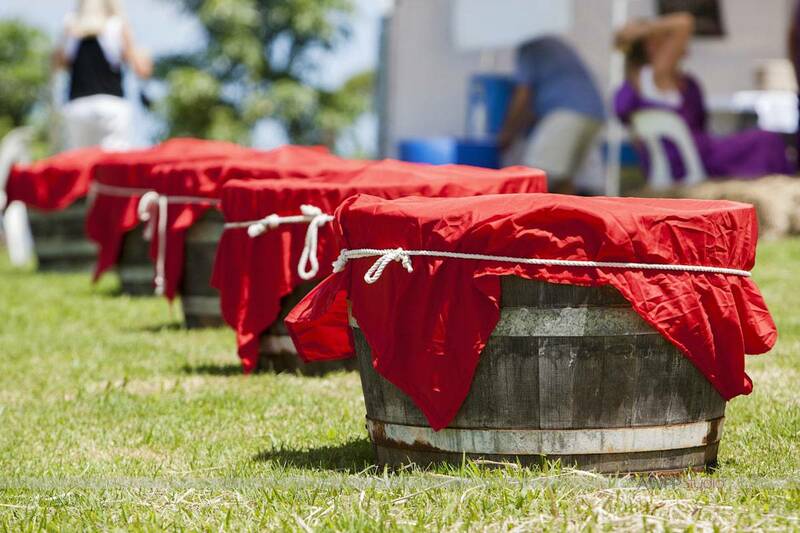 The annual Grape STOMP festival kicks off again in 2020 at the Flame Hill Vineyard on the Sunshine Coast. 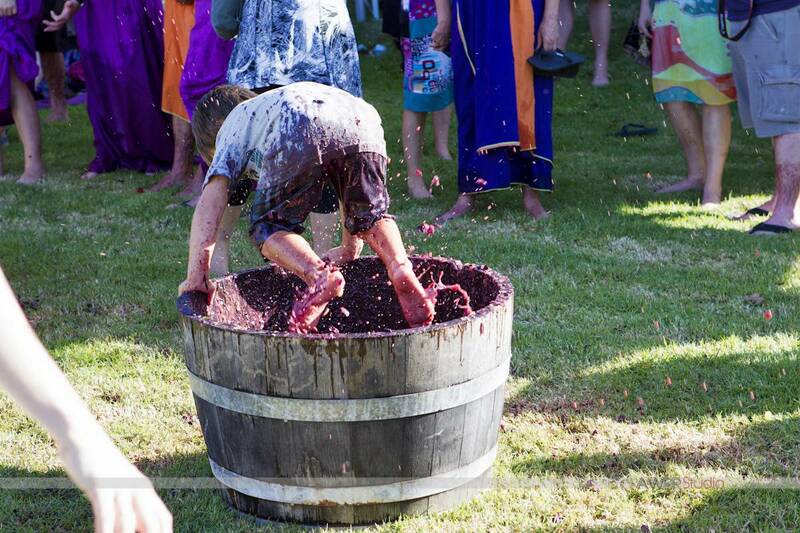 Each year, this event draws hundreds of people to this fun outdoor event where there will be grape stomping, live entertainment and wine tasting. Starting at noon, STOMP is held each year to celebrate the conclusion of another successful harvest and vintage at Flame Hill. Flame Hill winery will cater to a huge crowd with their speciality wines available for tasting, as well as an al-fresco lunch overlooking the vines. Try the wines before you buy and buy a case of your favourite. For beer drinkers, there will be plenty of beer varieties on tap as well as other nibbles available for purchase throughout the day. Your ticket includes wine tasting, a Flame Hill wine glass to take home and a delicious lunch cooked by the Flame Hill Vineyard chef. There will be plenty of live music to keep you entertained throughout the day with big band jazz bands keeping the party atmosphere going all day. There is limited on-site parking available on a first come, first served basis. Public transport is not available to Flame Hill winery, so if you are planning to have a few drinks, take a taxi or organise a private transfer to and from the event. There are a couple of small cottages located at Flamehill Vineyard, otherwise, accommodation is available in the township of Montville or Flaxton. In view of the forecasted thunderstorm, is the festival going ahead on Saturday? Best to contact the organisers to get the most up to date information about Stomp 2018. Looks like heavy rain is likely most of the day.